Miss Magooz Jewellery: What can you do with wire? What can you do with wire? Anything you like! 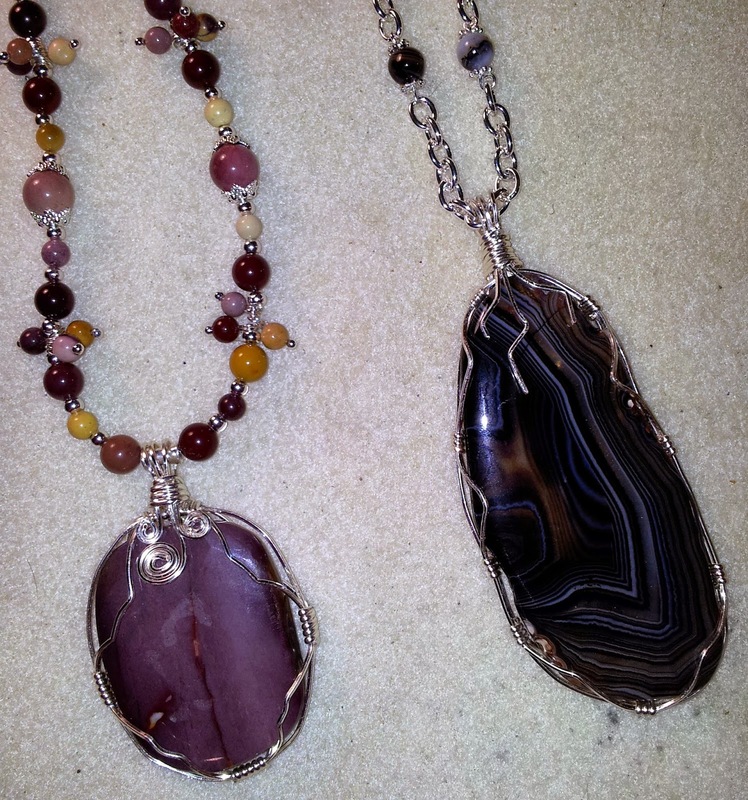 These stone pendants are wrapped with square wire. It builds a nice cage and shows off as much of the stone as possible. The purple and yellow stones are all called Mookaite, one of my favourites for the variation in colour all from the same rock! The black striped stone is Black Agate. Agate comes in many colours because it is often dyed, and the layers of the stone take up different amounts of dye to give the amazing variations in colour. 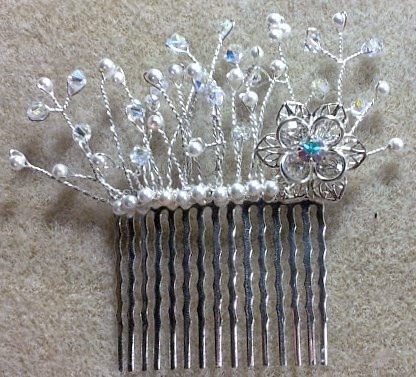 This hair piece was commissioned for a wedding. Twisted wire makes great branch-like shapes! I always find a way to work a technique into my love of steampunk. 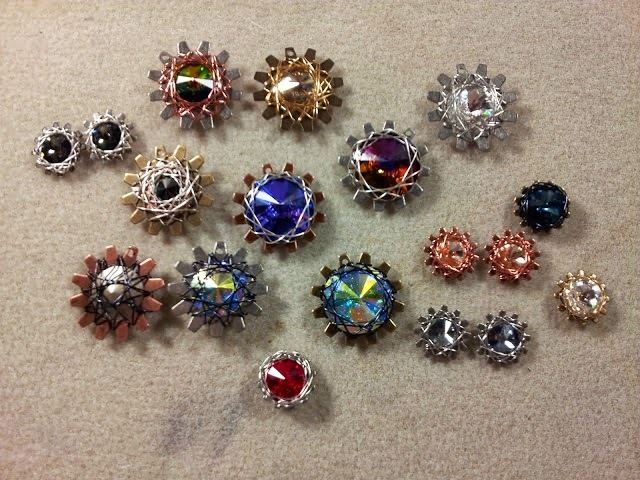 Here are some gears accented with crystals and wrapped with wire, in the same way that we used to make drawings with a spirograph! 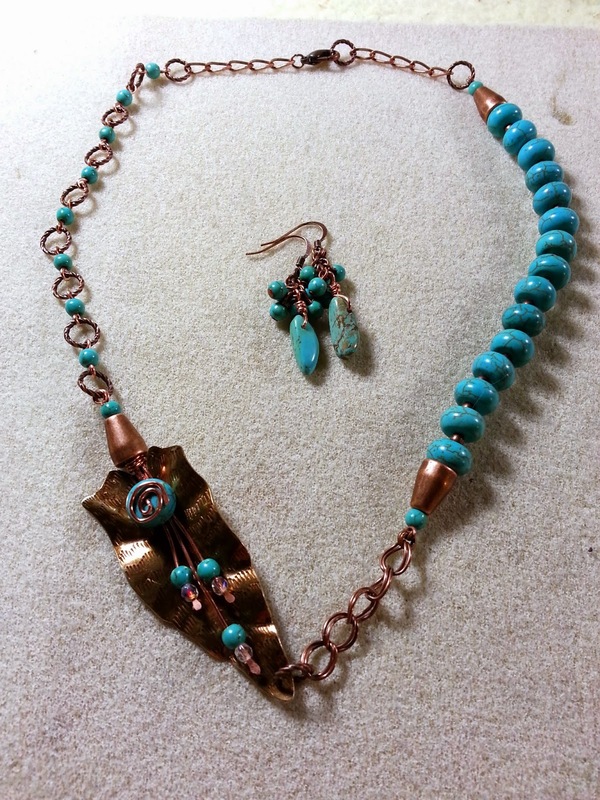 There isn't as much wire in this piece, but the hammered ends of wire accenting the leaf prevents the beads from falling off with a nice natural look.